MCKINLEYVILLE – The Humboldt County Board of Supervisors are hoping a green idea takes off at the Humboldt County airport in McKinleyville. During their meeting today, the board signed a letter to the California Energy Commission asking for funding to build a solar microgrid on nine acres of airport grounds. The multi-million dollar project could save the airport 65% on its energy bill annually, which comes out to about $60,000 a year. For now, the county is putting $15,000 towards the cost of environmental review for the project. If it does move forward, surrounding local residents could also access the clean energy through the Redwood Coast Energy Authority’s Community Choice Energy program. Humboldt Supervisors Request Funding for Solar Power at Airport, by Staff, KIEM, October 10, 2017. MCKINLEYVILLE – The California Redwood Coast Humboldt County Airport in McKinleyville may be getting a green upgrade. It’s still all ‘up in the air’, but the Public Works Aviation Division wants to partner with Humboldt State’s Schatz Energy Research Center and the Redwood Coast Energy Authority to install a solar microgrid on nine acres within airport grounds. The energy produced would benefit the airport and the surrounding community, and estimates show the airport could reach up to $60,000 in electricity savings annually if the project moves forward. Funding is being requested through the California Energy Commission – between 2 to 5 million dollars’ worth. 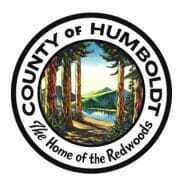 On Tuesday, the Humboldt County Board of Supervisors intends on signing a letter of commitment during their regular meeting addressed to the California Energy Commission to support the cause. Also during their meeting, the board plans on holding a closed session to consider public employee performance evaluations for the county’s Human Resources Director, Administrative Officer, and the Public Defender. The Public Administrator’s Office has been under investigation for possible misconduct stretching back to 2015 regarding sales of estate property being sold to past and current county employees. Public Defender David Marcus has been controversial since he started in February – with all nine deputy public defenders sending a letter to the board in March, asking them to reconsider his hire and claiming he is unqualified. 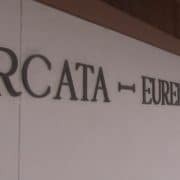 More recently, visiting Judge Marjorie Carter ruled a lawsuit against his hiring could go forward. The first part of the meeting that is open to the public starts tomorrow morning at 9AM in the Humboldt County Courthouse Board Chambers. Humboldt County Airport May Get Solar Microgrid, by Staff, KIEM, October 9, 2017.